I’ve created this site as a way to introduce myself to new friends and to give a quick overview of my artistic pursuits as a playwright, director and theatrical producer. Comedies, tragedies and everything in between. If you're looking for something specific, click the link below. 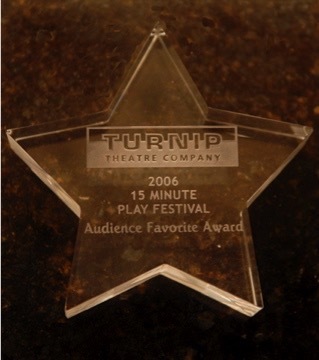 I've been lucky enough to have won a few awards for my plays. I've also had two plays anthologized. Let’s face it. We don’t live in a golden age of theater. Why is that? And more importantly, what can we do about it? Feel free to speak your mind. I know I will. I love to take production stills for the plays I've written, produced and/or directed. I've also include photos I've taken of my travels with Rob. I hope you enjoy them.